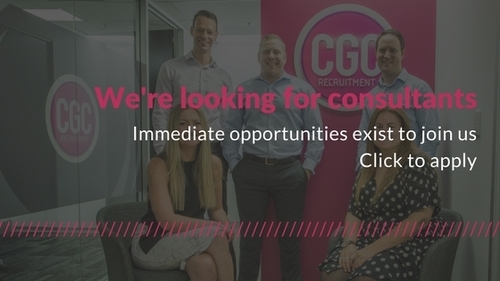 CGC Recruitment is an independent, Australian owned and operated Recruitment Consultancy. We’ve built a team of highly-motivated, experienced recruitment consultants specialising in the engineering, construction and infrastructure sectors throughout Australia. Each consultant specialises in their chosen sector, knows the market and pride themselves on offering clients and candidates unique industry insights. Our business is set-up, so we can also share information across projects from design through to completion. The strength of our business is based on the knowledge and contacts generated across our closely aligned sectors and the value we can add to our clients – beyond filling a job brief. Our leadership team are hands on, day- to-day, to stay at the front of market trends. And, to ensure our clients and candidates are offered a consistently high level of service - at every engagement. We operate in an open, transparent and accountable way, agree realistic and achievable outcomes and, if there’s a problem, we’ll own it along with the solutions. We identify consultants with ambition who strive for excellence. We recruit recruiters who are serious about building their reputation in the industry. We hire people who understand and connect with people. We value industry participation and educate ourselves on our market sectors. We specialise in distinct vertifcal markets and ensure that our insights are current and relevant. We are passionate about the success of the industry and advise on long-term outcomes. We are one of the market leading recruitment consultancies in the construction and engineering sectors in Sydney and Brisbane. We have created a supportive environment where individuals are encouraged to share information on best practice, projects and market insights. We have a high energy and strong sales focussed office which is underpinned by the latest technology and a supportive and experienced management team.